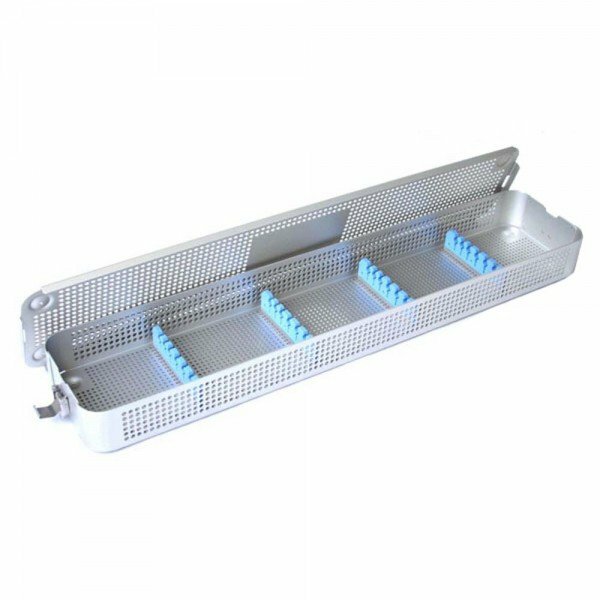 Metal sterilization instrument tray for use with laparoscopes. Holds up to 5 scopes. Bracket included.